Dr. Alan Levine has more than 40 years of experience in materials research and laboratory management. He currently heads RJ Lee Group’s technical support program for Delta-Energy, a company whose focus is the depolymerization of tires and other wastes. For the past fifteen years, Dr. Levine has assisted in the pyrolysis plant design and provided material characterization of products from a pyrolysis pilot plant, including gas, oil, and carbon black. He has also worked with RJ Lee Group’s internal consulting group to provide technical support to industry, litigation, and government clients since 2001, solving industrial problems using multiple analytical techniques. Dr. Levine has experience in method development based on atomic absorption spectroscopy, emission spectroscopy, gas chromatography, high pressure liquid chromatography, mass spectrometry, thermo-gravimetric analyses, and scanning electron microscopy. He has designed and conducted studies for evaluation of proposed and existing technologies for a variety of industrial applications. For his first 11 years at RJ Lee Group, Dr. Levine supervised the inorganic and organic laboratories. His extensive experience includes isolating and analyzing isolates from water, soil, air, plant, microbial extracts, carbon black, oil and gas, and the investigation of the properties of diesel fuel, crude oil, and pesticides. In addition to his work in industry, Dr. Levine has worked with the EPA, Aberdeen Proving Ground, Army Corps of Engineers, and DOE through research grants, as well as government cooperative research and development agreements CRADAs. Prior to joining RJ Lee Group, Dr. Levine was Director of Laboratory Programs for the Center for Hazardous Materials Research, where he was responsible for management of laboratory programs to evaluate the chemical fate of substances. He established and managed laboratory programs for development of pharmaceutical and biological products for Schering-Plough, Bactex, Provac, and The New York Blood Center. 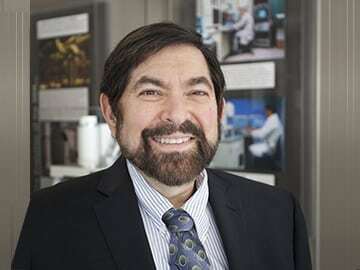 Dr. Levine has eight U.S. patents, plus patents in Australia, South Korea, China, Japan, Brazil, Mexico, Canada, Germany, France, and the United Kingdom in addition to several pending patents, and more than ten technical publications on his work.